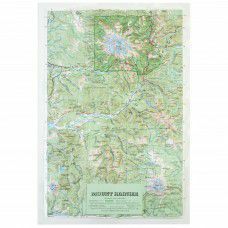 The Mount Rainier raised relief topographic map is produced at a scale of 1:250,000, so roughly 1" = 4 miles. A great wall map of Mt. Rainier and surrounding area, available framed and unframed.